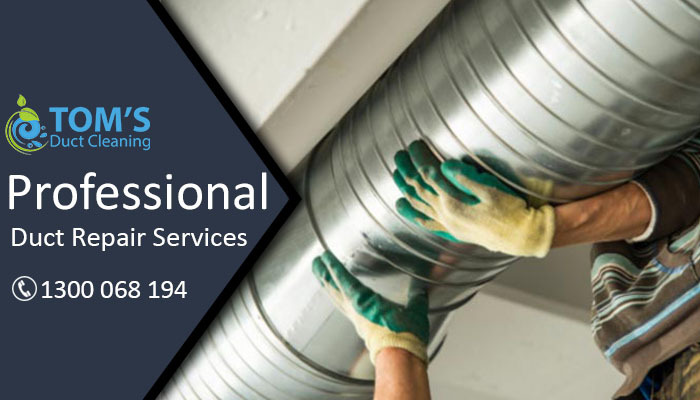 Toms Duct Repair Melbourne provides you quality Duct repair, installation, insulation and Duct Replacement services with guaranteed result. Call us today on 1300 068 194 for same day duct servicing. And even if you do not notice a change in the performance of your system, there could be leaks or cracks in your ducts that are causing your heating and cooling costs to increase. In order to make sure that you are getting the most possible out of your home heating and cooling systems, call the professionals at Toms Duct Repair Melbourne today to find out more about our duct repair services. The average home improvement enthusiast can relocate the duct, call the professionals at Toms Duct Repair Melbourne today. Carbon Monoxide is an odourless and colorless gas that is undetectable to the sight, taste and smell. It is a toxic gas, even at low levels, because it will rapidly gets accumulated in the blood, making it difficult for the blood to carry oxygen within. Where Does Carbon Monoxide Emerge From? This toxic gas is a byproduct of the burning of fossil fuels which include heating cooking oil and natural gas and wood. CO generated this way is very little and can be vented out easily. However, irregular functioning your vents and ducts can lead to CO buildup. Vehicle emissions or gas mowers in connected garages can be dangerous if fumes of this gas enter through unblocked passages and do not vent out. Here is how you can be the carbon monoxide detector and see if you have gotten Carbon Monoxide Poisoning in your home. Some symptoms of mild Carbon Monoxide Poisoning are running nose, sore eyes and headaches. Medium exposure symptoms are dizziness, drowsiness, and vomiting and a sense of disorientation. P.S. Normal concentrations in and around Australian homes is 9 ppm and max limit of CO is 300 ppm for 8 hours according to Australian Government’s Department of environment and energy. Get your air ducts and venting system checked regularly by trained air duct cleaning professionals to get Carbon monoxide testing done and then Carbon monoxide cleaning. Installation of good CO detectors in your home is the best safety precaution (at least one CO detector is needed). CO detectors give an alarm when CO levels reach a certain level in a specified time. Avoid using natural gas or propane stove ovens or tops for any appliances in your home. Do not start vehicles in closed garages never operate barbecues in an attached garage. Similarly, do not run a lawn mower, leaf blower or any gasoline-powered tool where there is no proper ventilation. Use electric appliances or battery powered equipment whenever possible. Carbon monoxide is a gas that is created when fossil fuel (example: natural gas) is partially burned. When we inhale carbon monoxide our bodies are fooled into thinking that it’s oxygen so our natural alert system, the gasp for air, is short-circuited. The lack of oxygen makes us drowsy and can lead to a very unfortunate outcome. Carbon monoxide has been known as the invisible killer because of it’s colorless, odorless, tasteless toxic gas. Without proper ventilation, carbon monoxide can basically turn your home into a ticking time bomb. We have certified Duct Testing team. Our team can determine whether the levels of exhaust gases are safe and whether they are being properly vented up the chimney. We can recommend the correct repair to return the appliance to safe and efficient operation. The experienced technicians at Toms Duct Carbon Monoxide Testing are dedicated to providing quality air duct Carbon Monoxide Testing and maintaining your air conditioning & heating units. Dedicated to a healthier air environment, the team at Toms Duct Cleaning Melbourne provides free estimates and will explain exactly what you need, why you should consider it, and how it will help to maintain a cleaner, healthier living.